You can use High Voltage Plastic Capacitors as Sources of small power. 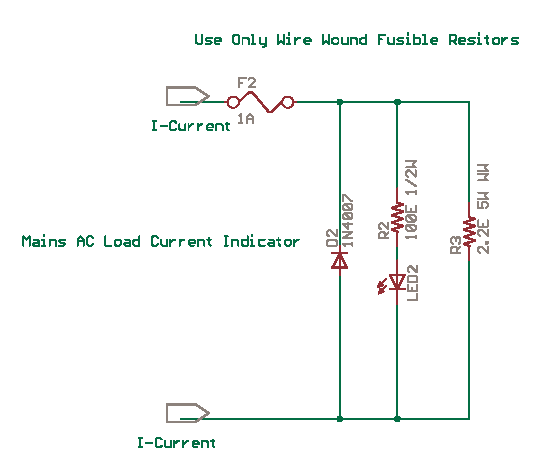 Millamps of current are enough to power a small LED and with diode protection or rectification. This is ok only if you use high quality Metallized Film Polypropylene Capacitors rated for 630V DC or more for a 230V Application. This circuit has been drawn from my memory and i have not tried it out again, just see if it is ok and then try. You should use the fuse of 100mA a slow blow if you want but it is very important. This circuit has to be enclosed in a fire retardant plastic sealed enclosure to avoid contact. This circuit has been drawn from my memory and i have not tried it out again, just see if it is ok and then try. You should use the fuse of 1A a slow blow if you want but it is very important. You can design the shunt R3 and Fuse rating as required by your load. 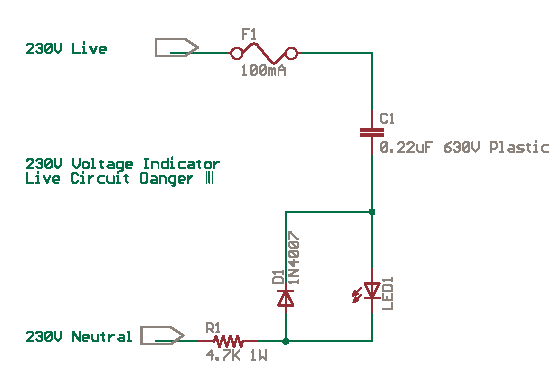 Note that this circuit is to be put in series with the load like an ammeter. If you put it across the supply like a voltmeter it will fuse out or burn out. This circuit has to be enclosed in a plastic sealed enclosure to avoid contact. This is not safe for beginners and learners as it is a mains circuit. People learning Electricity and Magnetism or Hobby Electronics, should start with battery circuits. Use DC Power Supplies to power your projects in the second stage. Mains powered experiments needs qualified supervision of an Experienced Senior. Capacitor Powered Industrial Timers were first designed by me around late 80s. These proved a bit expensive to manufacture but were smaller in size. There was no heating of any parts. SSR or high impedance relays were used as outputs.